A special type of microalgae can soon produce valuable chemicals such as cancer treatment drugs and much more just by harnessing energy from the sun. The team of scientists from Copenhagen Plant Science Centre at University of Copenhagen has published an article about the discovery in the scientific journal Metabolic Engineering. 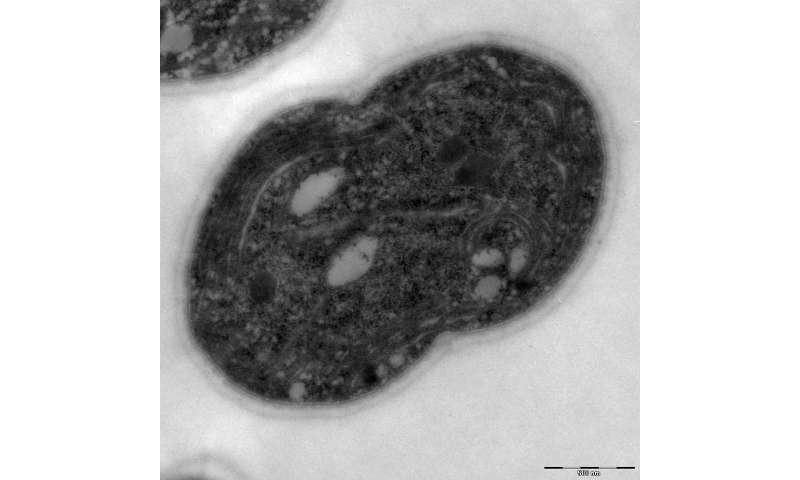 Researchers from Copenhagen Plant Science Centre at University of Copenhagen have succeeded in manipulating a strain of microalgae to form complex molecules to an unprecedented extent. This may pave the way for an efficient, inexpensive and environmentally friendly method of producing a variety of chemicals, such as pharmaceutical compounds. "So basically, the idea is that we hijack a portion of the energy produced by the microalgae from their photosynthetic systems. By redirecting that energy to a genetically modified part of the cell capable of producing various complex chemical materials, we induce the light driven biosynthesis of these compounds," says Post Doc Agnieszka Janina Zygadlo Nielsen, who along with colleagues Post Doc Thiyagarajan Gnanasekaran and PhD student Artur Jacek Wlodarczyk has been the main researcher behind the study. 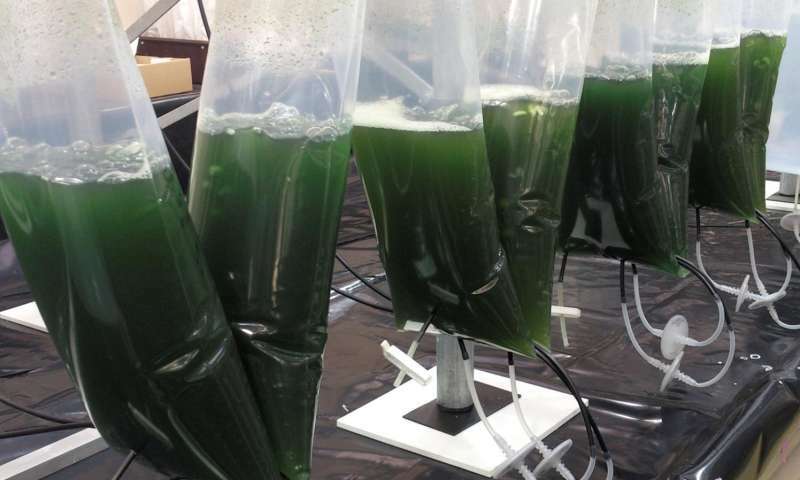 The researchers have as such modified microalgae genetically to become small chemical factories with a build in power supply. According to the research team's study, this basically allows sunlight being transformed into everything ranging from chemotherapy or bioplastics to valuable flavor and fragrance compounds. As Agnieszka Janina Zygadlo Nielsen describes, the problem with many of these substances today is namely that they are extremely expensive and difficult to make, and therefore produced only in small quantities in the medicinal plants. "A cancer drug like Taxol for instance is made from old yew trees, which naturally produce the substance in their bark. It is a cumbersome process which results in expensive treatments. If we let the microalgae run the production this problem could be obsolete," she explains. Thiyagarajan Gnanasekaran clarifies that the method can be run sustainably and continuously, and that this is what makes it even more spectacular compared to present methods. "Our study shows that it is possible to optimize the enzymatic processes in the cells using only sunlight, water and CO2 by growing them in transparent plastic bags in a greenhouse. Theoretically, the water could be replaced with sewage water, which could make the process run on entirely renewable energy and nutrient sources. Recycling wastewater from industry and cities to produce valuable substances would surely be positive," he points out. "If we can create a closed system that produces the valued chemicals from water, sunlight and CO2, it would be a fully competitive method compared to the ones used today, where it is primarily extracted from plants or yeast and E. coli bacteria producing the substances. In theory it should be cheaper on the long run to use our method than adding the large quantities of sugar that the conventional yeast and E.coli cultures amongst other things need to function." "It is difficult to produce large quantities of the desired compounds in microalgae because they have to use a large amount of the produced energy for themselves, since they are fully photosynthetic organisms. Exactly for this reason, it makes good sense to have them produce the particularly valuable substances which are cost effective to produce in relatively small quantities at a time, as for instance medicine." However, according to the team the expanding methods and genetic tools for microalgae are likely to overcome these limitations within near future.